IQC is made up of an experienced group of professionals dedicated to Quality Assurance, Quality Control and Management System certification services. With our Quality Management Systems, Environmental Management Systems, Occupational Health and Safety, AS/NZS 4801, Food Safety, HACCP, GMP, GHP, ISO 10002, ISO 13485, ISO 30000 and BC Kosher Certification services, we are committed to providing non-discriminatory, integrated, independent and impartial certification processes that are simple and effective for organisations throughout Australia. With our documented management system, we have enabled businesses to meet the ISO / IEC 17021 and ISO 22003 requirements with our third party management certification system services. IQC is proud to be an accredited member of both the National Accreditation Board for Certification Bodies (NABCB) and the Joint Accreditation System of Australia & New Zealand (JAS-ANZ). Both NABCB and JAS-ANZ are IAF-Multilateral Recognition Agreement (MLA) members, bodies that recognise equivalent accreditation from other member accreditation bodies. 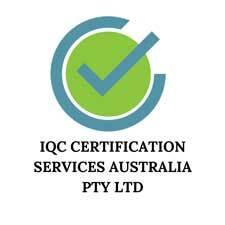 The cost effective management system certification services from IQC allows organisations to be customer focused, with credible, independent, impartial, dynamic and value adding service. With our global network of group offices and regional partnership agreements, IQC have tapped into local resources and knowledge to provide accredited certification services in more countries than ever before. Our multinational accreditation service success has lead us to build upon an ambitious growth strategy to seek multiple accreditations in technically and commercially viable countries. At IQC, our independent and impartial Management System Certification services have enabled us to commit to leading the way in maintaining customer focus and product value adding during all phases of business service. From planning and execution to the emphasis on constant improvement and enhancement, IQC strive for global recognition with credible service delivery, customer loyalty enablement and sustainable performance support. On top of IQC’s independent, integral and impartial approach to the planning and effective management of certifying processes and service delivery, we are committed to administering non-discriminating, risk based policy when approaching all certification cases. IQC provides Integrated, Independent and Impartial certification services to clients in all geographical locations irrespective of size, type and economic sector of organisation while retaining sensitivity of conflict of interest. IQC undertakes Conformity assessment activities impartially and is responsible for the impartiality of conformity assessment activities. IQC does not tolerate commercial, financial or other pressures that could compromise impartiality. 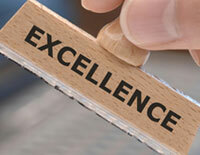 IQC management is committed to impartiality in management system certification activities. IQC has documented a policy for impartiality for understanding its importance in carrying out management system certification activities and managing conflicts of interest ensuring the objectivity of management system certification activities. IQC has identified, analysed and evaluated the risks related to conflicts of interest arising from provision of certification including any conflicts arising from its relationships on an ongoing basis. Any threat to impartiality, residual or otherwise, is reviewed and eliminated and / or minimised. The threat to impartiality shall cover all potential threats from within IQC or from activities of other persons or bodies or associates. IQC shall not certify any wholly owned subsidiary within the group. IQC management shall review any residual risk to determine if it is within the level of acceptable risk. The risk assessment process shall include interaction, consultation and participation of all members of IQC and applicable committees with appropriate interest. IQC management provides opportunities for all members and CAC to advice on matters affecting impartiality including openness and public perception. IQC has developed a CAC committee with appropriate interested parties with no single interest predominating. IQC shall not certify another certification body for its quality management system. IQC and subsidiaries with the same legal entity under IQC control shall not offer or provide management system consultancy. IQC shall not certify a management system on which it provides internal audits or consultancy for a minimum of two years following the completion of the internal audits. The certification body shall not outsource audits to a management system consultancy which does not include individuals contracted as IQC auditors. IQC shall not market activities that are linked with the activities of an organisation that provide management system consultancy. IQC shall take action to correct inappropriate links or statements by any consultancy organisation stating or implying that certification would be simpler, easier, faster or less expensive if the certification body were used. IQC shall not state or imply that certification would be expensive if a specified consultancy organisation were used. IQC shall ensure they not assign any personnel for conducting certification audits who have provided management system consultancy, including those acting in a managerial capacity. They shall not take part in an audit or other certification activities if they have been involved in management system consultancy for a specified client. IQC shall not use personnel who have provided management system consultancy services for less than two years. IQC shall take action to respond to any threats to its impartiality arising from the actions of other relevant persons, bodies or organisations. IQC personnel associated with certification services, either contracted or directly hired, or any committee activity, shall act impartially and shall not allow commercial, financial or other pressures to compromise impartiality. IQC shall implement a procedure for personnel, whether internal or external, to reveal any factors known to them that could be construed to the certification body as a conflict of interest. IQC maintains a record of this information and also as an input to identify threats to impartiality raised by such activities. IQC shall not use any personnel, internal or external, for certification activities with a threat to impartiality unless they can demonstrate that there is no conflict of interest.